(April 10, 2017) In the Italian magazine Hystrio Nr. 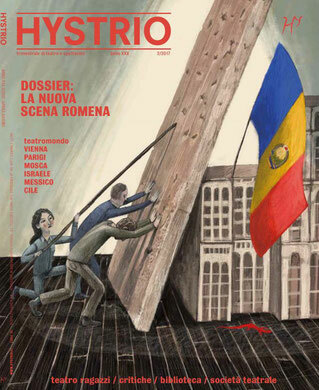 2-2017 you will find from page 27 to 55 an extensive dossier coordinated by myself with the latest news about the theatre scenes in Romania and Moldova. Click here to go to the online version, where there is also the possibility to order the magazine in print format. Have fun reading and do not hesitate to send your feedback! A lively tribute to the Dada Esprit. A concise mosaic of Romanian drama. Six ways to dealing with the demons within oneself. Power Control, War and Violence: Causes and Effects. Wiener Festwochen: a spectacular display of political theatre puts the finger on the pulse of our time. Wiener Festwochen: an invitation to threading a calendar of labyrinth events. Enjoying a wide panoply of OFF-productions. Vienna's Burgtheater: The Austrian National Theatre is awakening to a World of Tomorrow.